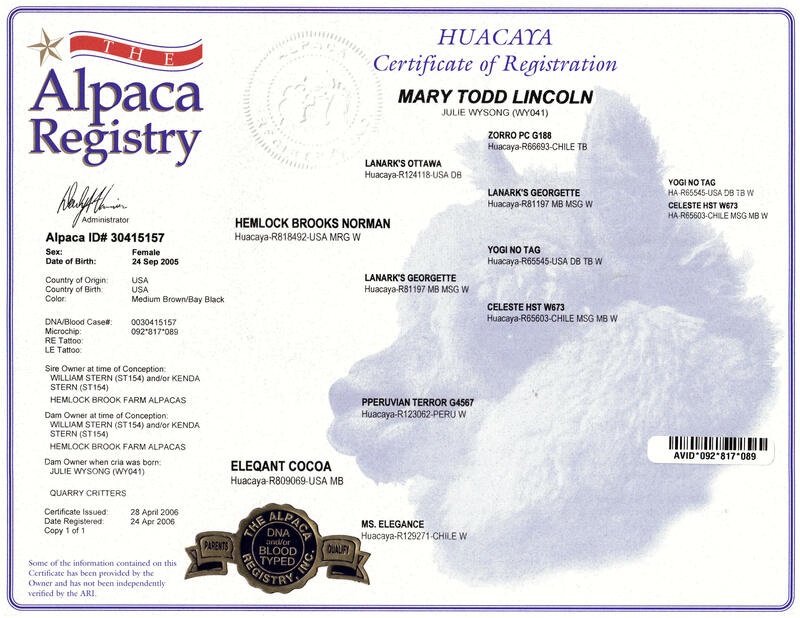 Mary Todd Lincoln also known as Beauty is a lovely sable brown. Spring 2009 she gave us a beautiful white male (Tad Lincoln). 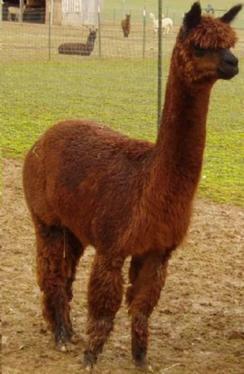 2010 she produced a light brown female (Dixie). 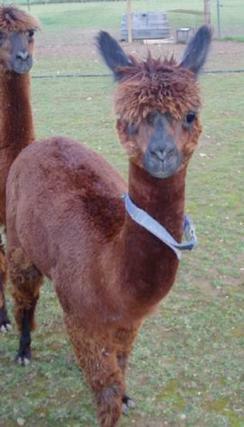 2013 she has given us Second Chance, a beautiful chocolate brown male. 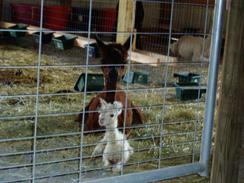 She has been a wonderful caring mother. 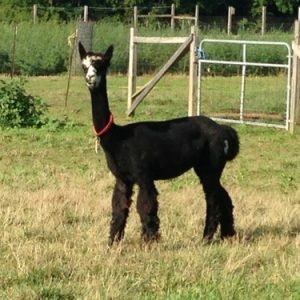 Her pedigree is heavy genetics of silver grays, true blacks and dark rich sables trimmed in black. 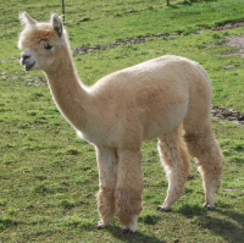 This girl carries the finest renowned Lanark bloodlines known for top quality alpacas- Mary Todd Lincoln’s entire sires side of ancestries traces back to the Lanark breeding that produced consistently some of the finest alpacas of the breed. full Chileans with fleece so dense it rivals full Peruvians, yet possesses that OH-SO soft Chilean handle you just love to touch. Mary Todd Lincoln is a beauty in rich intense sable brown with an elegant pretty face, good conformation with medium density and crimp. If you want to produce rare shades of gray – rose and violet grays with wonderful fleece, don’t overlook Mary Todd! 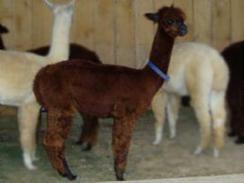 She has the ideal color genetics to produce these rare colors of grey, blacks, bay blacks and sables. 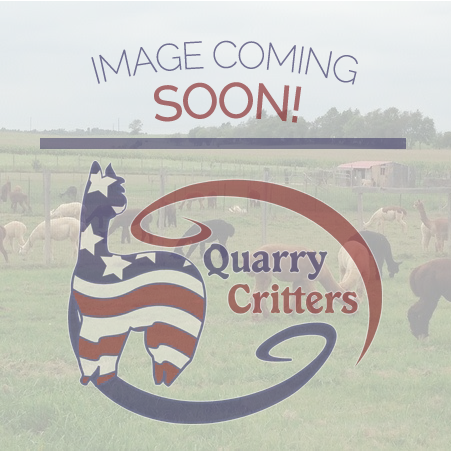 Mary would be an excellent addition to any herd that wants to produce quality crias with beautiful heavenly soft fiber of any color. 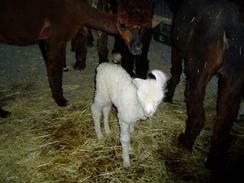 Our alpacas receive daily hands on care and are raised with love. She is friendly and easy to work with which is so important owners and those with children. Mary Todd Lincoln is BVD free.